This set of paint scrapers has four different designs, perfect for creating fine lines and wide grooves in wet paint. Cover the paper in paint. 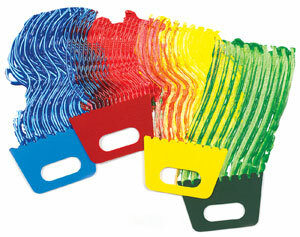 Then scrape, swirl, and smear it with the easy-to-clean, plastic scrapers to create fun patterns and designs.